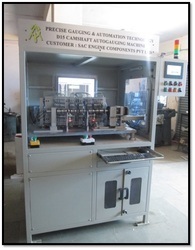 Our product range includes a wide range of camshaft dia runout multi gauging common 3 4 6 cyl, camshaft dia & length multi gauging system, camshaft journal dia multigauging pc based, camshaft length & dia multigauging station pc based, camshaft dia & linear contact type multi gauging system and camshaft auto-gauging. We are offering Camshaft Dia Runout Multi Gauging Common 3 4 6 Cyl to our client. NOT OK Camshaft checked on Earlier Station will not be able to check on Next Station. If Camshaft Missed out checking at Earlier Station Software will not allow for inspection on Current Station. Probe BOX with Peizo Module & LVDT Module Separately with Future ADD On Facility. 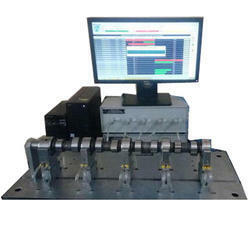 We are offering Camshaft Dia & Length Multi Gauging System to our client. Probe BOX with Piezo Module & LVDT Module Separately with Future ADD On Facility. We are offering Camshaft Journal Dia Multigauging PC Based to our client. 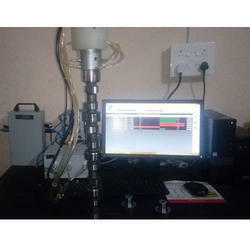 We are offering Camshaft Length & Dia Multigauging Station PC Based to our client. Dynamic reading automatic recording of all readings Station.